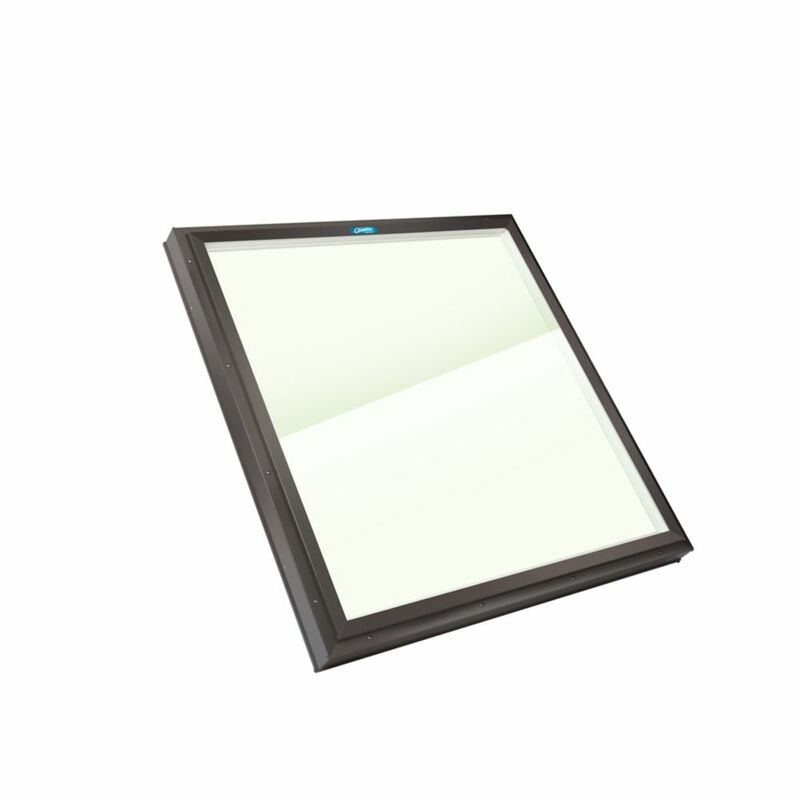 LoE3 Neat glass provides 61% visible light transmission. The titanium dioxide layer of Neat glass reacts chemically with the suns UV rays and causes organic materials that are on the glass to decompose. Works even on cloudy days, as 80% of UV radiation gets through cloud cover. Requires aluminum flashing kit. Model FKCM-36B available online or in store. Use of Columbia's Roofing Underlayment highly recommended to ensure optimal weather tight seal. Available online. ENERGY STAR Certified in most regions of Canada. Homeowners in Canada's Zone 1 & 2 regions - consider our Triple Glazed glass units for optimal energy efficiency. The ideal solution to gain outdoor access to a rooftop for outdoor living spaces or services. Columbia's acrylic dome roof access skylight can be installed on a flat or sloped roof curb application. Includes: pull bar, locking latch and hydraulic gas cylinders that support the skylight when in the open position. Acrylic dome roof access skylights are suitable for flat and sloped applications. Control the amount of light and heat entering your skylight with a Columbia Skylight Blind. Offering great value and style at an attractive price, transform any room with one quick and easy installation. All fabrics are constructed of polyester which helps prevent staining and water absorption.